There aren’t too many science fiction romances out there but Fisher has blended the two genres wonderfully. Elizabeth Cole is a psychologist traveling from Earth to another planet, Ardagh 1, to help colonists adapt to the Ghost Protocol. Whenever a colonist arrives on Ardagh 1 a few hours later a “ghost” appears. This is a flesh and blood entity that resembles someone the colonist had a bond with who has died. Resemblance is not a strong enough term; the ghost basically is that person with their feelings, memories and mannerisms. The Ghost Protocol was set up to protect the mental health of the colonists. Colonists and ghosts are not allowed to communicate which is difficult since the ghosts need to always be within a certain distance of their colonist or suffer unbearable pain. Elizabeth arrives on Ardagh 1 and is given an introductory tour by Murphy who, besides being her new supervisor, is also a man she met on a guided tour in Ireland many years before. Upon entering the facility where they are to work together all sorts of alarms sound. That’s when it’s discovered that Elizabeth is Murphy’s new ghost – she died in a tragic shuttle accident hours before. The psychology of the forced non-interaction and the effects on both colonists and ghosts is an interesting study. And the chemistry between Murphy and Elizabeth is spot on, with steamy scenes throughout the story. 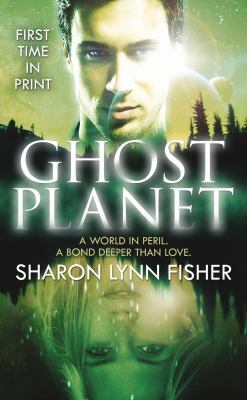 A romance, psychological study and battle for planetary control – what else could you ask for?